Sometimes you want eggs, bacon and biscuits. And nothing else will do. Breakfast has long been a comforting and nourishing any-time food, but it’s not always easy to find pancakes at 4 p.m. 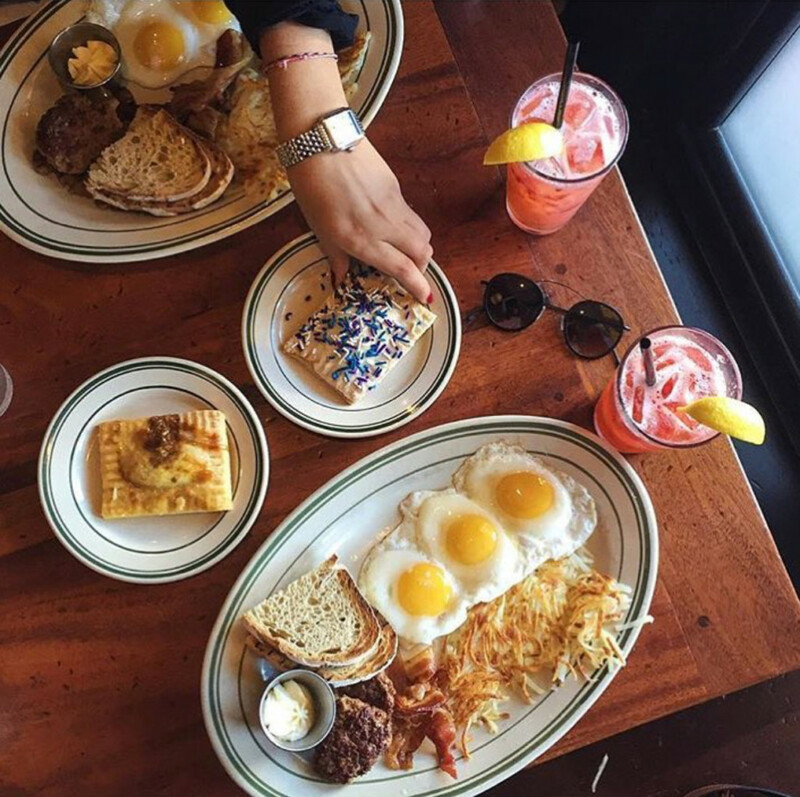 If you want doughnuts for dinner (we won’t judge) or corned beef hash for lunch, these eateries have you covered, from opening omelets to closing croissants. Ted’s is known for its cult-status, homemade pop-tarts, which you can order to-go if the line for a table is long. But weathering the wait brings other rewards. Topping the all-day breakfast menu is the cheeky Walk of Shame Burrito, stuffed with sausage, eggs, cheddar, hash browns and green chile sauce. Alternately, you can go for chicken and biscuits, drizzled with honey and served with D.C.’s iconic Mumbo Sauce (a sweet and tangy condiment similar to barbecue or plum sauce). Good news for Arlington residents: Ted’s recently announced it will open a new location in the forthcoming Ballston Quarter food hall this fall.